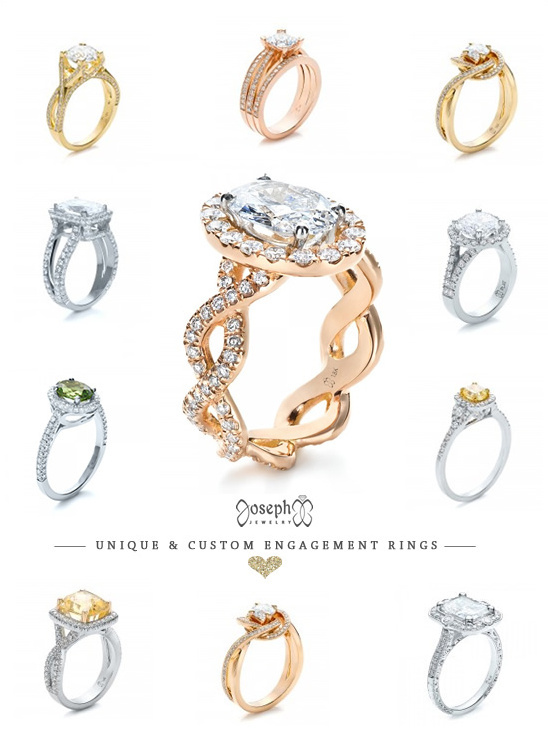 Joseph Jewelry, a master artisan with 30 years experience in the jewelry business, has a wide variety of exquisite custom jewelry that we fell head over heels in love with. We think it would be amazing to design our own ring. 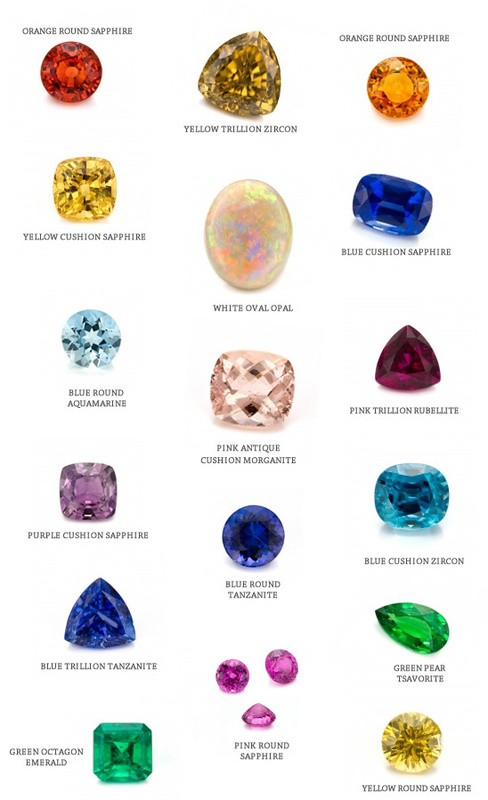 How fun would it be to go through their incredible collection of gems and create a ring entirely customized just for you? Love it! TEST Besides offering eye catching custom jewelry, Joseph Jewelry offers 100% satisfaction guarantee on any custom design jewelry. They stand behind every piece that is produced. From their over the top gorgeous custom engagement rings to their exquisite earrings. 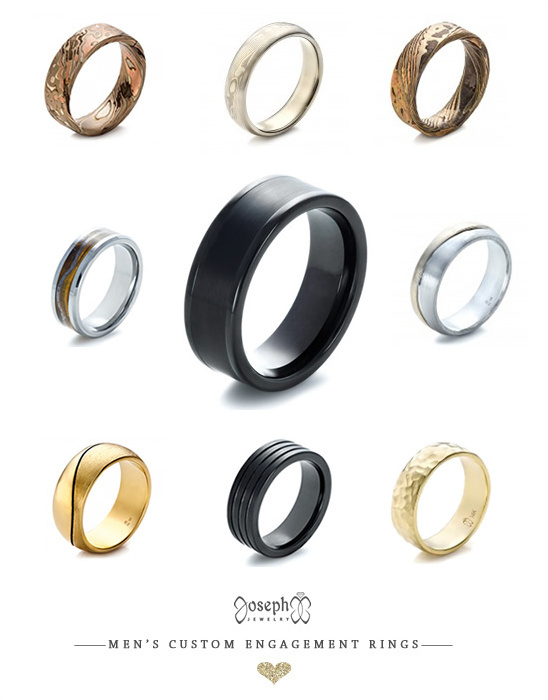 Don't worry we have not forgotten about the groom, Joseph Jewelry also has an extensive collection of unique custom men's wedding rings. One of our favorites has to be The Mokume Wedding Band. So unique and special ... don't you think?